Soaring for miles, with barely the flap of a wing! Just a couple dozen miles off the Northwest coast, immense dark birds with long, saber-shaped wings glide without effort above the waves. 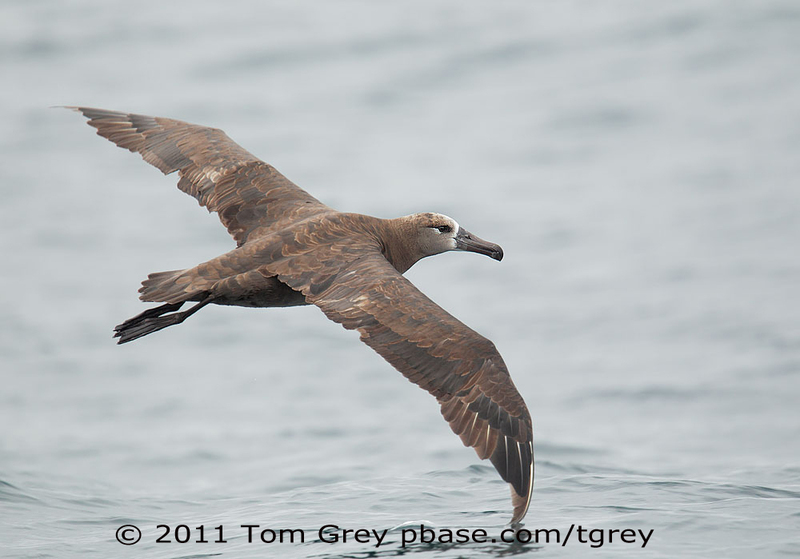 These graceful giants are Black-footed Albatrosses, flying by the thousands near the edge of the continental shelf. Black-footed Albatrosses do not breed until they are at least five years old, and after the young leave their breeding colony, they spend their first three years at sea. The writers of BirdNote include Bob Sundstrom, Ellen Blackstone, Todd Peterson, Dennis Paulson, and Frances Wood. You can come to our website, birdnote.org, and read their scripts anytime. I’m Michael Stein.